Tread softly and watch three clips from the upcoming horror. Husband and wife John Krasinski and Emily Blunt star in the former's second film as director, A Quiet Place, as the parents of a family living a life of isolation in the woods. In order to avoid attracting the unwanted attention of a malevolent presence, the family members are forced to avoid making any sort of noise, as demonstrated in three new clips. 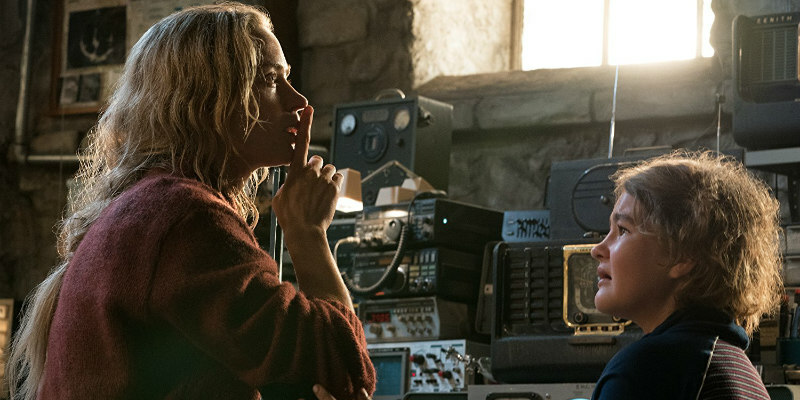 A Quiet Place is in UK/ROI cinemas April 5th.